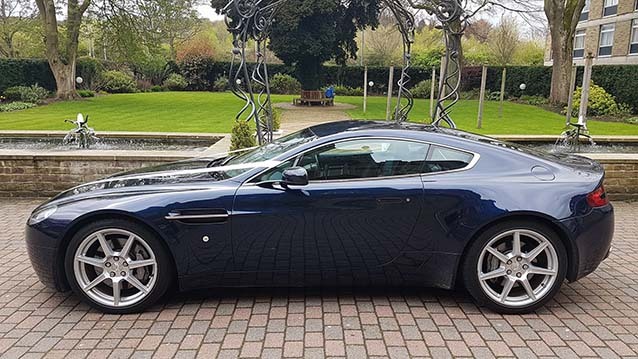 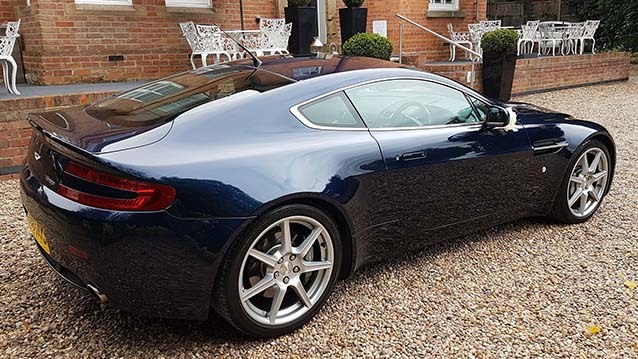 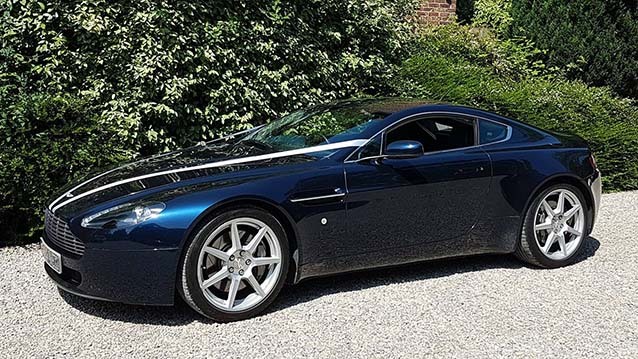 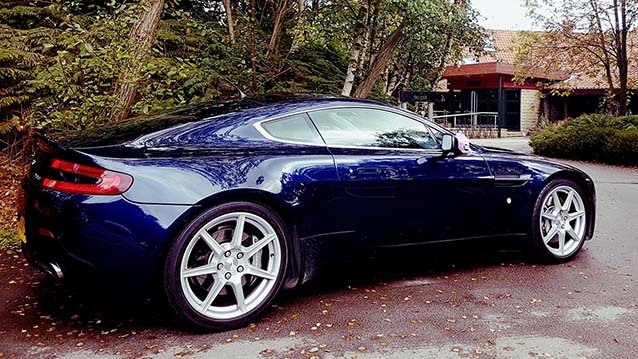 This superb Aston Martin is in pristine Midnight Blue coachwork and driven by a throbbing V8 engine and is an extremely powerful Aston Martin. 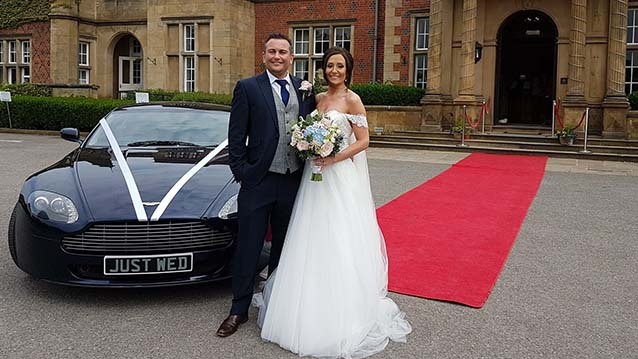 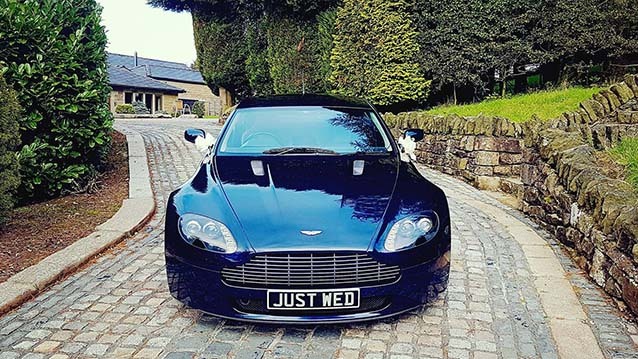 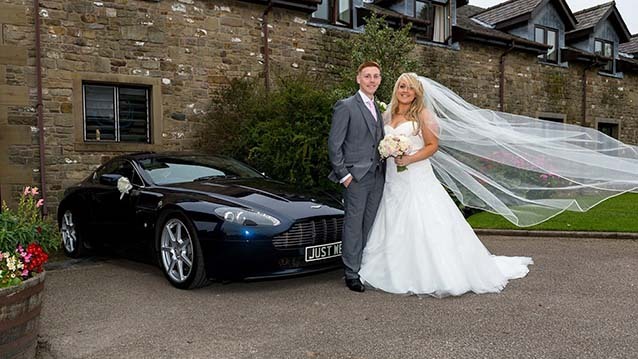 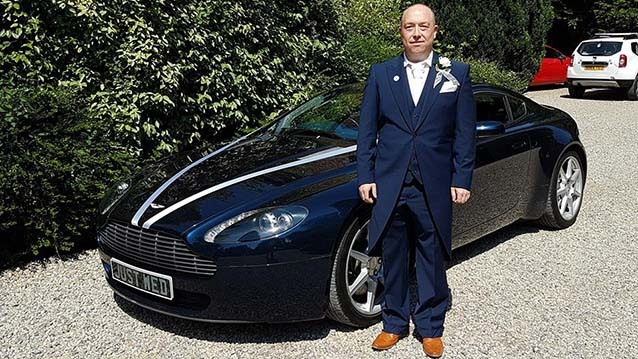 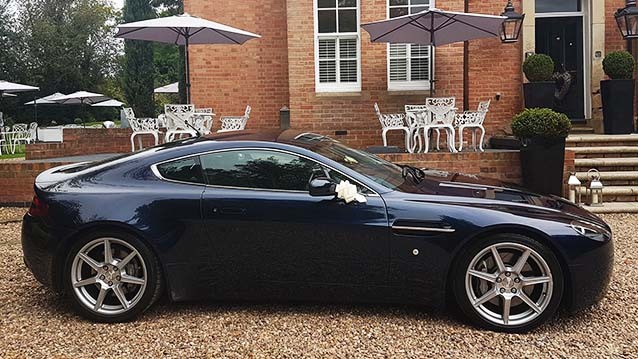 Sadly most modern Aston Martins are only fun for two people and the driver gets the fun all the time, but if the distance is short there is no reason why the car could not make two trips to the venue, one for the Groom and the other for the Best Man. 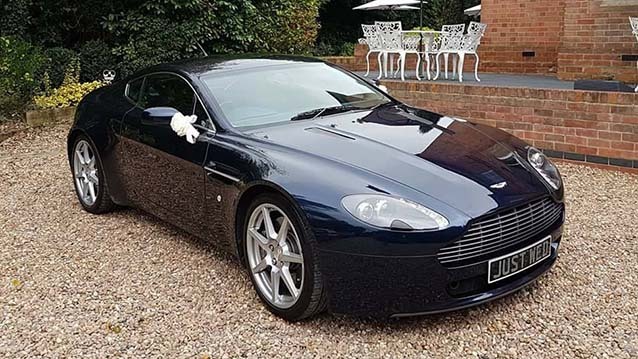 This Aston Martin has a Obsidian Black leather interior plus heated and cooled seating. 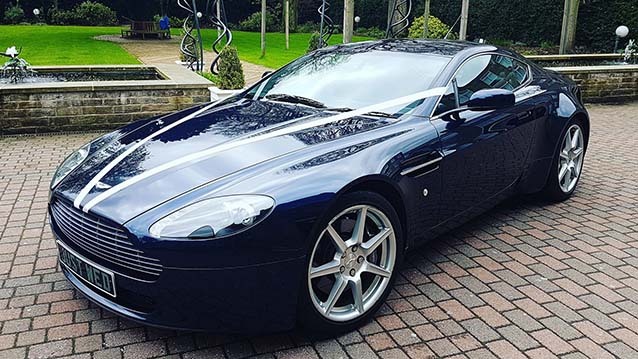 The Aston Martin remains undoubtedly one of the world’s best looking and most elegant supercars for hire in West Yorkshire. 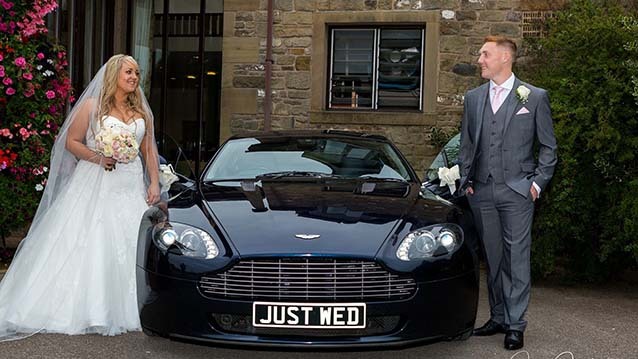 Is where the Vehicles Total Mileage 'Base to Base' does not exceed miles, additional charges apply thereafter.